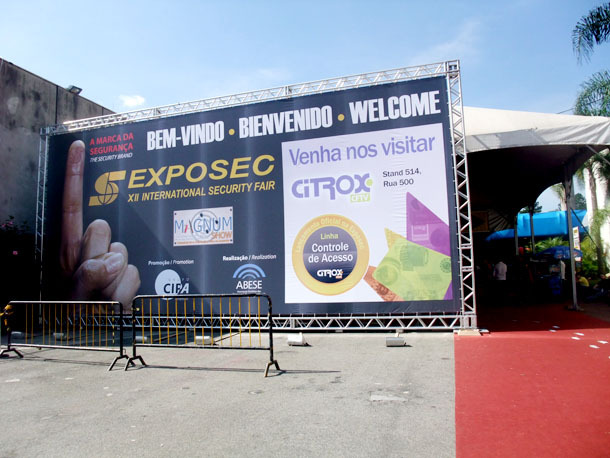 The largest country in South America and the fifth largest in the world, Brazil was our destination for a security show in May 2009. This was the second visit of FingerTec to Brazil to find partners for FingerTec Brand and this time around we participated in Exposec in Sao Paulo from 12-14 May 2009. Brazil has good potential for our business considering the size and the spending power of the people. Nevertheless, penetration is not an easy task, as the language and the import-export laws of the country bind us from going forward at the speed that we wanted. The aim this time was to work with an experienced importer(s) before we focus on building FingerTec brand in this famous coffee land. It took us more than 20 hours to reach Brazil from Kuala Lumpur over a transit in Dubai. The country that was colonized by Portugal for over three centuries is speaking Brazilian Portuguese and very little English. It made communication a struggle for us right from the start. Though we had anticipated this difficulty, the experience was rather exasperating. Drawings helped and thanked God we were good at that. We headed to the city of São Paulo, the capital city of Brazil on the 10th of May 2009. It is the richest city in Brazil and the center of finance, commerce, arts and entertainment, where the exhibition was staged. Being such an expensive city, São Paulo can’t escape from having high crime rates and social problems. It is not advisable to display expensive gadgets like camera, watch or even mobile phone when in public in São Paulo. We were indeed lucky to be escorted by two policemen during our little adventurous stroll around the city. They advised us against taking pictures; so all we have is our internal memories (which is not exactly printable). However, we managed to snap a photo with the policemen inside a covered space for our safekeeping. Nevertheless, the Paulistanos (name given for São Paulo’s locals) were rather friendly; they always tried to provide answers to our English questions in Brazilian. We appreciated the effort. Marcelo Novaes (Diretor Comercial) from Nobritech Tecnologia e Sistemas and his colleague purchased a unit at the show. For the show, we hired a translator to assist us disseminating right information to the visitors. We were informed about various restrictions for time attendance products due to the laws of the county and that access control products are in demand. The turnout was excellent and the novelty of fingerprint products for some had drawn them to our booth. The three-day shows however, told us a different story. FingerTec time attendance products received good response and we sold some samples to interested importers. Availability of FingerTec TCMS software in Brazilian Portuguese also had helped us to convince the potential clients about FingerTec’s seriousness in entering Brazil market. We are not coming to Brazil as an opportunist to trade our products as commodity, we are looking to stay in Brazil, speak the local language, and work with a partner to build FingerTec brand as one of the renowned fingerprint solution for time attendance and door access systems. 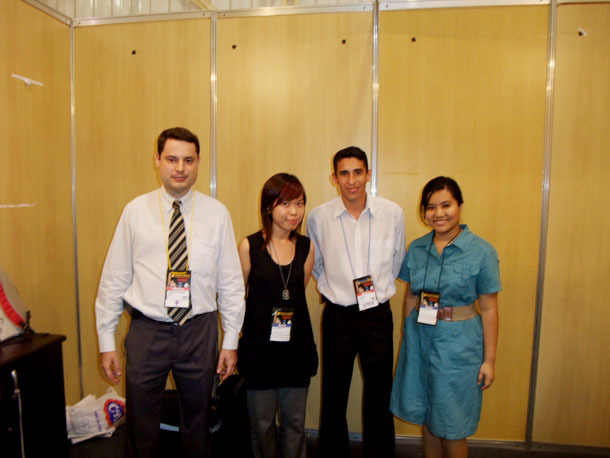 We also met Mr. Juliano M.G de Camargo (Diretor Comercial) and his colleague from TopSistemas during the show. 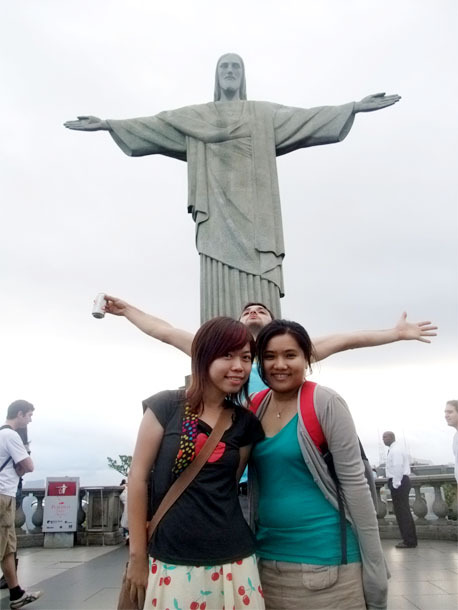 Having young and restless hearts, we would not want to miss the tourist sites while we were in the city. 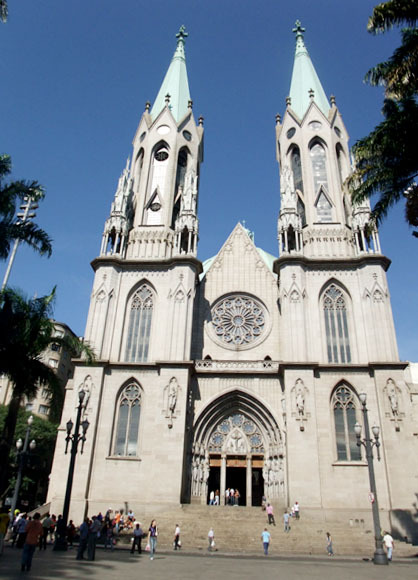 We traveled to the Centro for a very famous Cathedral Square (Praça da Sé) and Luz Station (Estacao da Luz). 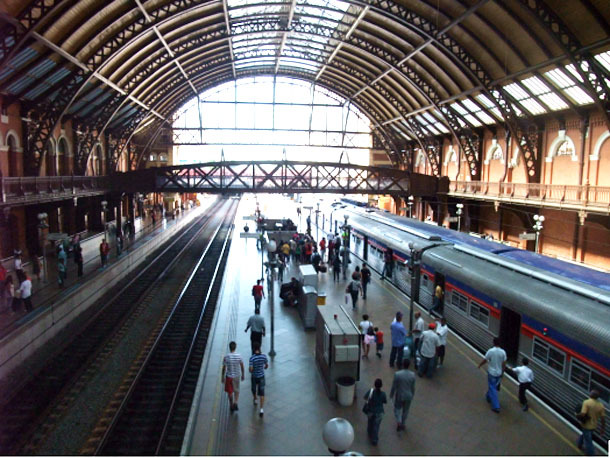 Estação da Luz station was built in the late 19th century, a symbol of the prosperous coffee industry. The Cathedral Square (Praça da Sé) was an exceptional beauty, taking us to another realm. And straight after the show, we headed to Rio for more adventure. Brazil is definitely a land of opportunity for us, but we cannot expect a smooth ride. FingerTec needs to strengthen our resources in Brazilian language and we need to find a way to import FingerTec effectively to the country. And I read “The Witch of Portabello” by Paulo Coelho and sipped a nice warm Brazilian coffee at a café in Rio while writing this. Cliché?